Equiparts carries repair parts for the Bradley Equa-Flo shower valve. 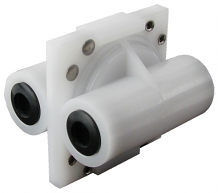 Featured in our inventory is the Shower Mixing Valve Cartridge. Call 1-800-442-6622 for more information or pricing.